Let’s take a look at the specific importance STEM holds for your middle grades students as they participate in STEM lessons over time. 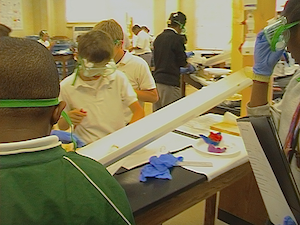 A key purpose of K–12 STEM is to present science and math to students in ways that more closely represent how scientists and mathematicians experience these in the real world. Applying the science and math content they learn can help your students gain a deeper understanding of both subjects. Through STEM lessons, students should gain a real, hands-on understanding of major concepts rather than just knowing facts. 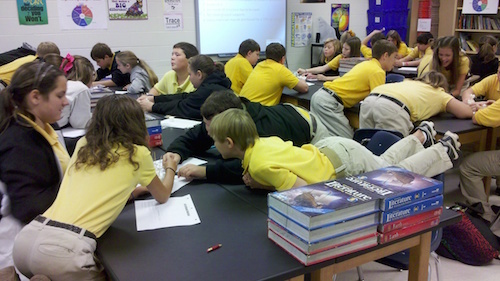 Student teams are free to make informed decisions about STEM problem solving. There is no single “right” solution – just different degrees of effectiveness. Armed with the idea that problems really do have more than one correct answer, STEM students can generate ideas freely without fear of being wrong. Mistakes are a valuable part of the learning process. Problem-solving involves finding answers to questions and solutions for undesired effects. 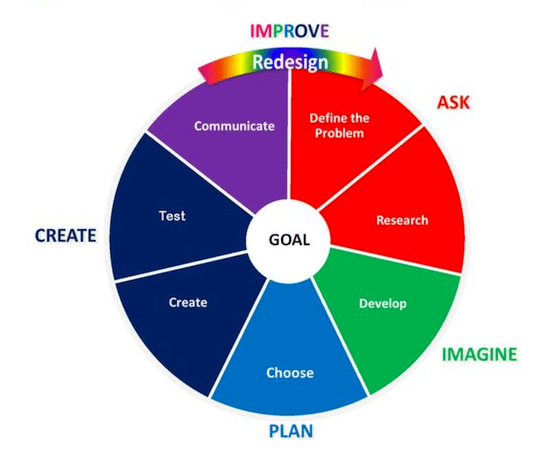 STEM lessons revolve around the engineering design process (EDP)—an organized, open-ended approach to investigation that promotes creativity, invention, and prototype design, along with testing and analysis. These iterative steps will involve your students in asking critical questions about the problem, and guide them through creating and testing actual prototypes to solve that problem. STEM classes can address real social, economic, health, safety, and environmental situations in your students’ communities, both local and global. Students identify situations that need fixing, then research them and brainstorm ideas for correcting those problems. As they work through the process, students become more aware of the need to recognize and solve problems affecting peoples’ health, the environment, economic issues, and other aspects of the community in which they live. (See some examples of teens solving real problems.) Working in teams and thinking about cost-control issues also help students learn to make responsible trade-offs when needed. In STEM, students broaden their understanding of technology—tools used to make life easier and better. They learn to view technology as more than computers. Technology in STEM education helps students be aware of the technological world they live in; how technology, science, and math support each other; how to learn to use new technologies as they become available; and how the technological decisions we make impact our lives and the lives of others. STEM is about jobs as well as education. Some leaders also point out that the lack of educated STEM workers is a national security problem. While many students launch their careers as college graduates, other students enter the STEM field through jobs that don’t require a bachelor’s degree, or advanced degrees. So STEM skills are for everyone. STEM students know that through STEM coursework they may become the leaders who improve our economic growth and our future. From Chapter 2 of STEM by Design by Anne Jolly (Routledge 2017). All Rights Reserved.